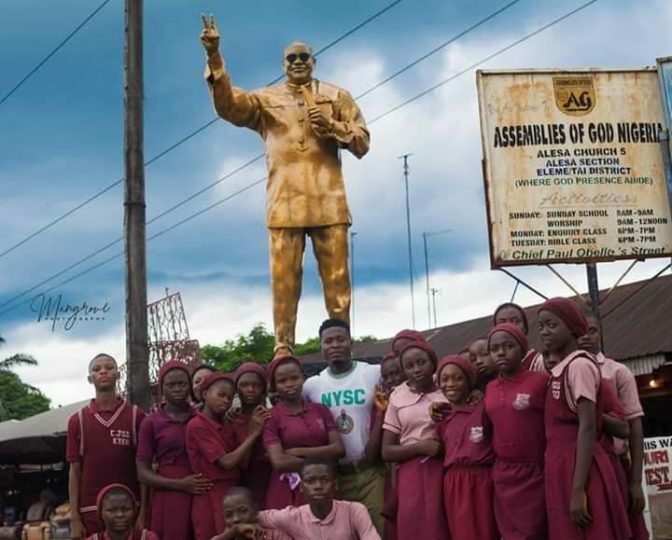 A serving member of the National Youth Service Corps has won the admiration of many people after erecting a giant statue of Governor Wike in Rivers. A graduate of Niger Delta University and member of the National Youth Service Corps has warmed his way into the hearts of many people after erecting a giant statue of governor of rivers state, Chief Barr. 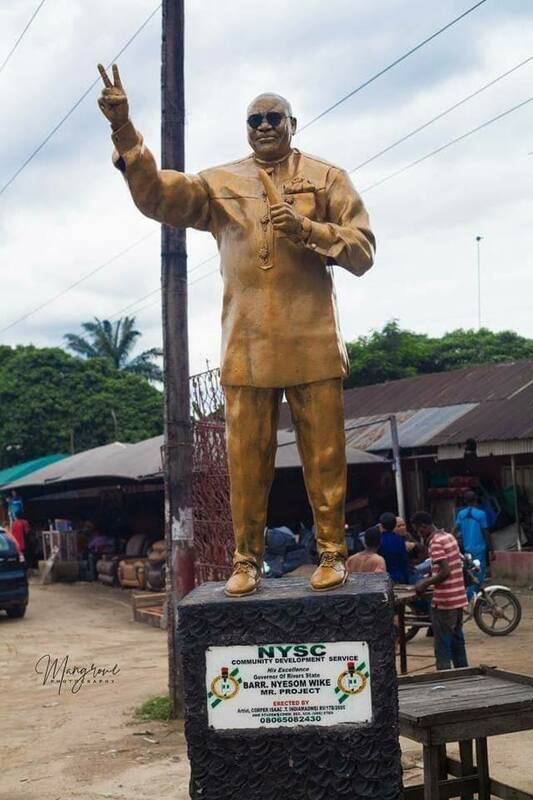 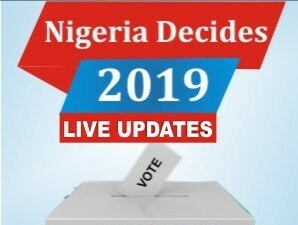 Nyesom Wike in Eleme local government area of rivers state. 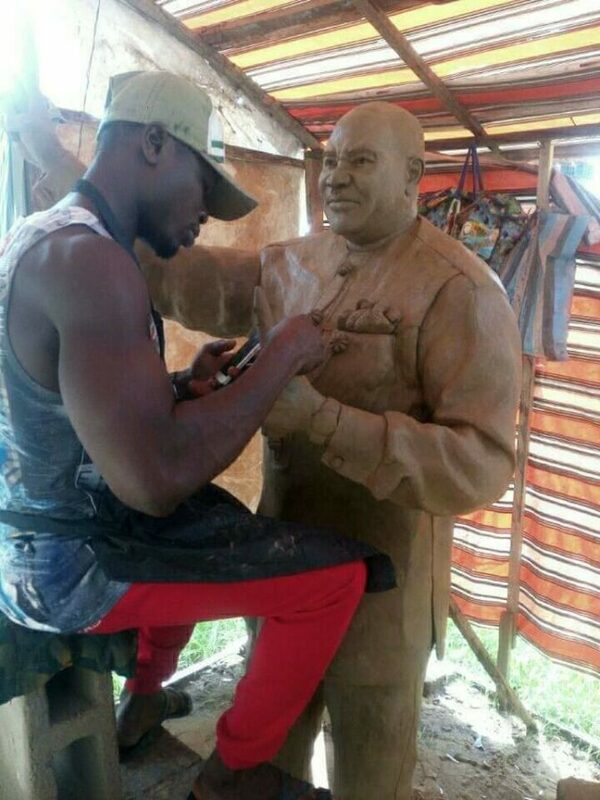 The corper identified as Timinipre Isaac Indiamaowei, with State code number: RV/17B/2605, erected the sculptural masterpiece with the help of other students as part of community development service (CDS). 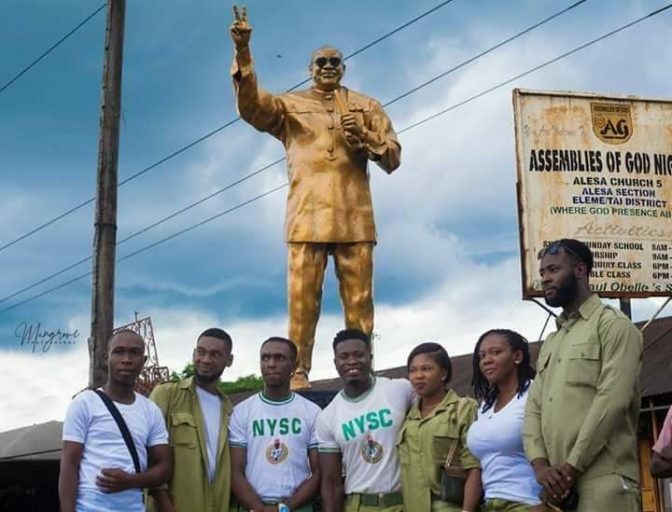 The excited corper and others posed in front of the sculpture which was erected near the market square.